As many a therapist will concur, we are notoriously bad at looking after ourselves! however, lately I have taken this on board and made a big effort to make the time for a little bit of self care. So for the past few weeks I have been undergoing some dental treatment, it should have been fairly straightforward, but hey ho, it wasn’t, I am in pain. I wont bore you with the details, but suffice to say I feel a little sorry for myself. Today ,courtesy of my beautiful Daughter, I took myself into Town and indulged in what I can only describe as an hour and a half of absolute bliss, At the Clarins skin spa in Fenwick, I experienced the most divine Tri active facial. From entering the very stylish salon, I was greeted by a charming therapist called Alaina, who immediately made me feel very comfortable, she conducted a little consultation and ushered me into a private therapy room, softly lit and chill out music in the background, already I was feeling relaxed. She went through the products she would be using, all tailored specifically for my personal skin type, and then the treatment commenced. What can I say? 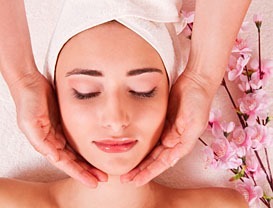 it was sublime, the Clarins products all smell and feel amazing, it all felt very holistic to me, because although it is a facial they also give hand and foot massage, my whole body just totally relaxed. 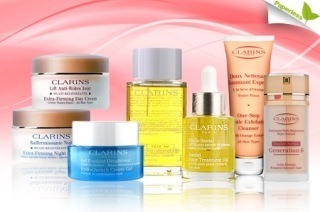 I do already use some Clarins products, but now I am an absolute convert. My particular favourites were the double serum and the absolutely gorgeous santal treatment oil . Sadly after around ninety minutes, my treatment was over, my lovely therapist applied a little light make up for me, in order that I did not scare the other shoppers (me sans make up…very scary) and bid me farewell. I would definitely recommend this to anyone, it is quite expensive, but once in a while I feel is a worthy indulgence and even took my mind off the lousy toothache!